Once again I forgot to take the before pic. 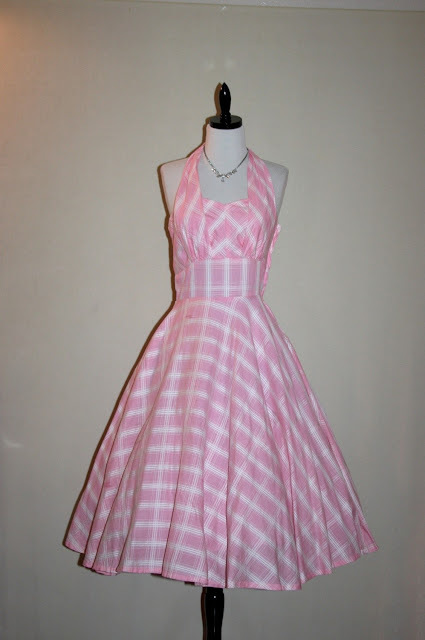 This is a similar dress with wider straps. 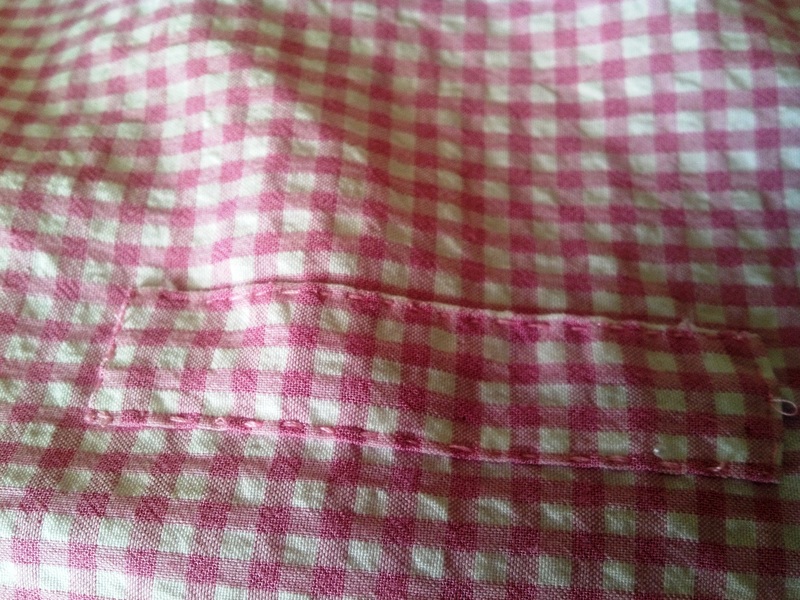 A friend gave me this little sundress because it had a light blue stain at the bottom of the skirt. 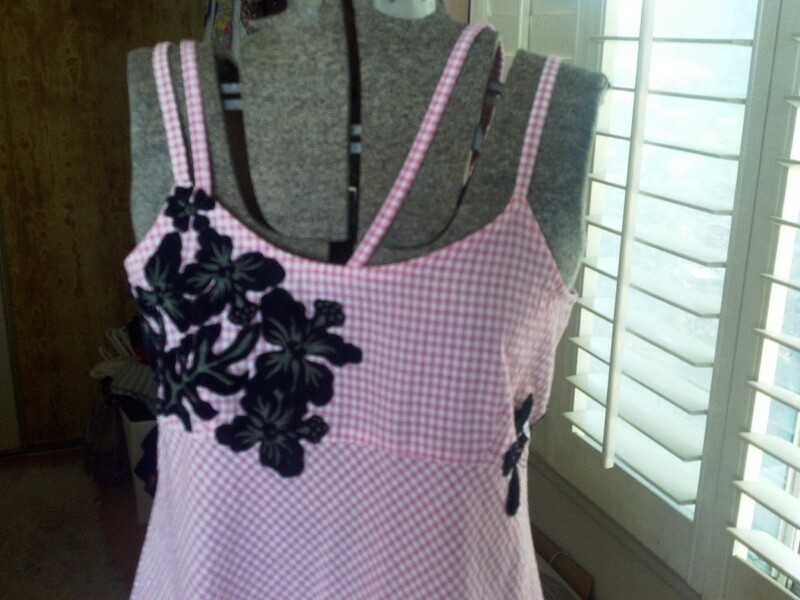 She thought I’d slash off the skirt and make it into a cute top, but I had other ideas for this sundress that I didn’t tell her reminded me of something Rebecca of Sunnybrook Farm would wear. It had worked for her with her straight blonde hair, but me with my red curls would look like I’d just stepped off the farm. I had a pair of little boys swim trunks that was covered with black velvet leaves and flowers. This was the choice for a little boys swim trunks? Go figure! That’s probably why I was able to pick them up for .25 at a garage sale. 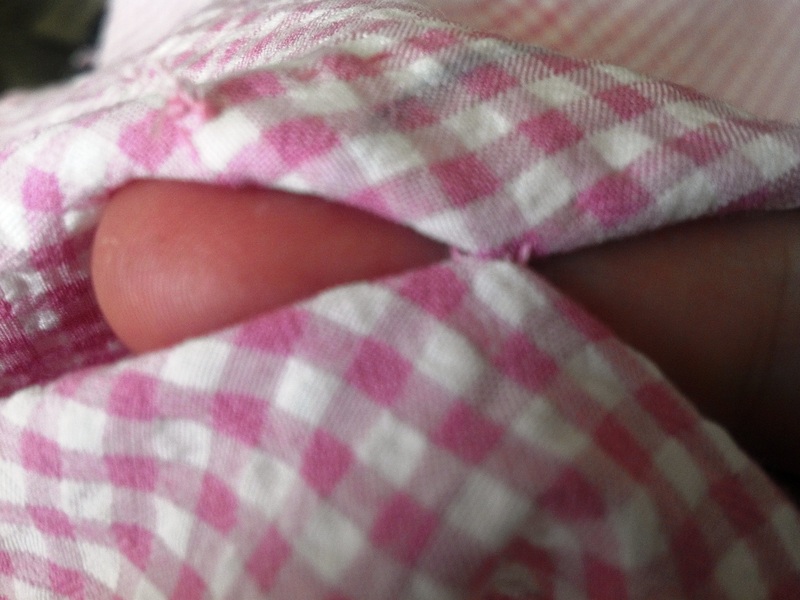 The little boy they were intended for probably refused to wear them, as any little boy would. 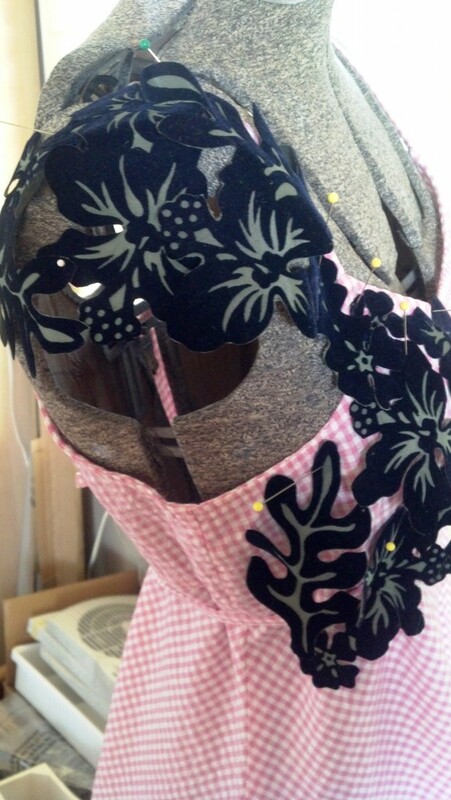 I bought them knowing that I would use the leaves and flowers on something so I had already started cutting them out and had a large pile of them by the time I was given this sundress. 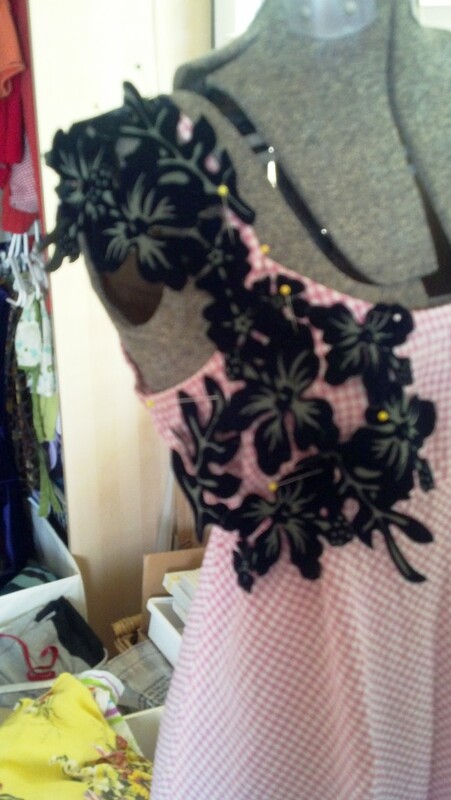 I popped the sundress on my dress form and started playing around with the velvet foliage. My first thought was to use the velvet foliage to create a cap sleeve, but the velvet was too stiff to fall how I wanted it to. So I removed the flowers and covered the entire bodice area. But I didn’t like that either. In the end I decided to cover half of the bodice and wrap the foliage around the back of the dress to just peek out in front at the waist. Oh and I removed the little tie that formed a bow in the back. My theory is that once you can wear heels without falling over you’re too old to wear a dress with a bow in the back. I wanted to make this a zero-waste refashion so I used the ties to make straps for the top of the dress and snipped off a bit from the end of one tie to cover the blue stain at the bottom of the dress. After securing the new straps to the bodice I cut away the excess and unpicked this length of strap so that it was essentially a piece of bias tape. I needed this to cover the blue stain at the bottom of the dress. 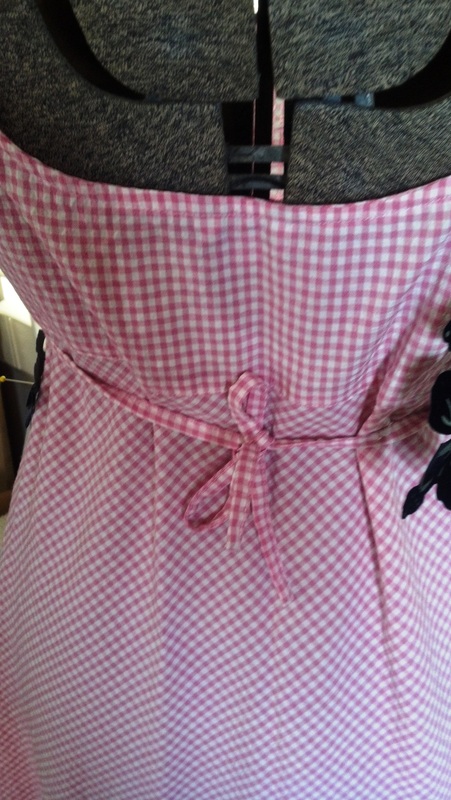 A quick bit of stitching to cover the blue stain and my new sundress is ready to wear. Ooops! Stitched the front of the dress to the back of the dress while hand-sewing my patch. 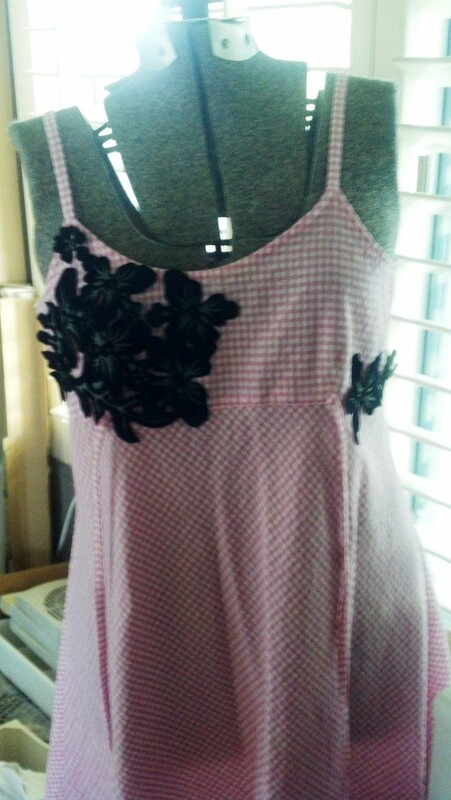 Some quick action with a seam ripper and my dress is now ready to wear. Check out lower left of dress - no more blue stain! 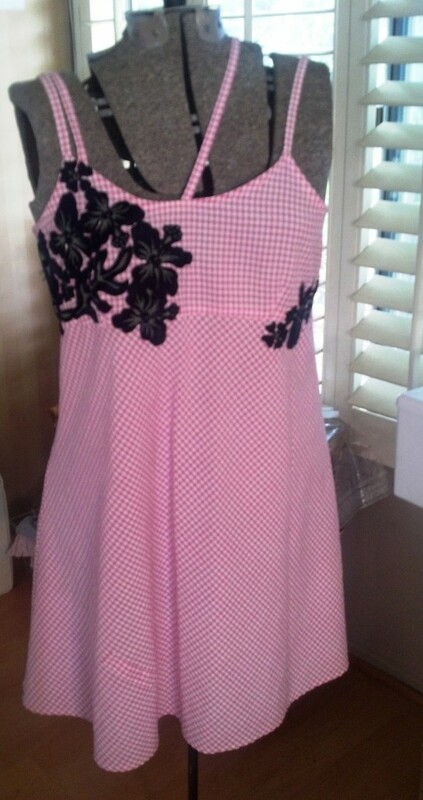 This entry was posted in clothing, Refashion and tagged dress makeover, refashioned dress by Kat. Bookmark the permalink. Hi!, came from awesomesauceasshattery blog to have a look at your refashion! And I’love what you’ve done to this dress. Very good idea. I’ve got some clothes for re-fashion and I was thinking of cutting it off, but now I’m gonna copy your idea and add some lace/appliques to cover it up.